Singapore Airlines offshoot, Scoot, became the first in the world to operate an all-Boeing Dreamliner fleet. 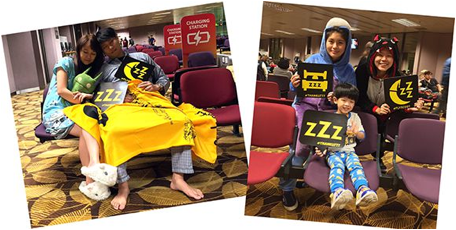 Scoot’s final 777-200 aircraft retired in style, with a pyjama party during its final flight on the Singapore-Taipei-Tokyo route. CEO, Campbell Wilson, said the airline moved from its first Dreamliner to an all-787 fleet in seven months. “It is therefore appropriate that our latest Dreamliner sports the name ‘Lickity-Split’! “Scoot’s 787 has allowed us to set a new standard in budget travel, with great new offerings such as Wi-Fi Internet connectivity; streaming entertainment; and in-seat power throughout the aircraft, complementing the many choices already enjoyed by our guests. “As well as its cabin ambiance and passenger comfort, the 787’s operating economics allow us to offer even better value airfares, Mr Wilson said. Scoot has a firm order of twenty 787s, split equally between 335-seat 787-8’s and 375-seat 787-9’s. The airline operates medium and long haul no-frills flights between Singapore and Sydney, Gold Coast, Bangkok, Taipei, Tokyo, Tianjin, Shenyang, Nanjing, Qingdao, Seoul, Gong Kong, Perth, Osaka and Kaohsiung – and soon to Hangzhou and Melbourne. Although it has only been in the air for just over three years, Scoot has already passed five million passengers and is growing quickly. Scoot was voted 2015 Best Low Cost Airline (Asia/Pacific) by AirlineRatings.com and ranked in the Top 10 of the World’s Best Low-Cost Airlines in 2015 by Skytrax.